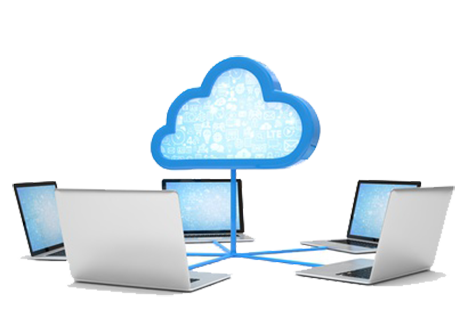 MyClusterDesktop is a service, that virtualizes your whole PC in the Cloud, including your personal information and programs. This makes you free and independent from the limited hardware and it's current location. You can access your information from any device connected to Internet like: smartphone, tablet, other computer or even smart TV. Another advantage of this service is the security, because it has more than the traditional antivirus protection and levels of access, MуClusterDesktop provides encryption with certificate for the whole user information. Additional security is achieved with automaticbackups. Cloud Service or Personal Computer? *You can change the numbers in the boxes. Computer: BGN. \ months = 10 BGN. Windows ОС: BGN. \ months = 6 BGN. Installing: BGN. \ months = 1 BGN. Installing printers, network, electronic sign: BGN. \ months = 0 BGN. System administration: BGN. \ months = 55 BGN. Electricity – 500W X 8H X 21 days X 0,16 BGN: BGN. \ months = 20 BGN. Spare parts after the guarantee period of 3 years: BGN. \ months = 4 BGN. Total without VAT: 96 BGN. Total with VAT: 115.20 BGN. system administration and problem handling. Flexibility – expanding or reducing the resources on a monthly basis to fit the client’s particular needs. 10 users (20 GB memory, 150 GB hard disk space, 2 core + 10 licenses for Windows + antivirus software + archiving + printer redirecting + scanner redirecting + yeb cam redirecting)- 148 USD/month, VAT exclusive. There is standard free office software installed for each user. It is also possible to install Office 365. Price per license per month - 13.80 USD, VAT exclusive. It is also possible to install licensed Microsoft Office Pro (Word, Excel, PowerPoint, Outlook, OneNote, Publisher and Access). Price per license per month: 22 USD, VAT exclusive. Microsoft Office Pro can be installed for a single or several users for one or more months, as required to suit client’s needs. *You can change the parameters in the boxes. Total per hour inc. VAT: USD. Have you happened to have work to do, but not feel like staying in the office? Have you had moments when you’d rather be away on vacation but you had to meet deadlines instead? Have you experienced computer failure while you are in a rush and under pressure? Have you been at the airport, or the bus station, or the railway station, and required to provide some information which you know is on your office computer? Have you wished to work with your co-workers in a shared environment so as to have immediate access to any changes made? Have you thought about how much more inspiring it would be to make a live demonstration of your work? These are problems everybody has dealt with, and the solution is so simple and obvious – work remotely. What is more, upload all your software and files in the cloud – this will bring you more comfort, you will have access 24/7, and from various devices, you will be able to locate easily the information you need, make any necessary changes and have them immediately available to your co-workers or clients – your information will simply follow you anywhere you go. And this is not something to expect in the future, it can be yours even today. With our new service – myClusterDesktop, we bring to you our cloud space and resources, all required licenses, technical experts to respond to your needs, an antivirus protection, and daily backups of all your information, while you can focus on things that matter to you most. All your devices, such as printers, scanners and electronic signatures will be set to work with your cloud account. Access is extremely easy from any computer, tablet, smartphone or even smart TV. You get more time, and more fulfilling time, for yourself and your family, and if you happen to be a workaholic – more inspiration and satisfaction from your work. We most genuinely believe that this service will appeal to all those who value their comfort and freedom – a computer-less computer in your pocket: your personal cloud. A free demo version of the cloud service and additional information is available HERE /for security reasons access to the Internet in the demo accounts is limited/. Would you like to submit your VAT return while enjoying your vacation? Most accountants adapt their rhythm of life to the deadlines set by the revenue administration and statistics offices. Have you ever asked yourself what would it be like to have access to all your applications, data and electronic signatures anytime, anywhere? This might sound surprising but it’s not just a dream, it’s reality. Through the service we offer – myClusterDesktop, we move your entire computer content in the cloud, i.e. on servers operating in a safe data center, and you begin to work remotely. This opens up new possibilities for you, such as to go on a holiday and still get a job done if it came up unexpectedly. All you need is Internet connection and a device to access the servers where your information is uploaded (this could be a laptop, a tablet, a phone, or even a computer owned by someone else). With this service, deadlines will no longer interfere with your plans, and you will rediscover freedom and the opportunity to enjoy it without limitations. The automatic backups of all your information secure its safety and reliability. Our system administrators are available to handle any problems you may experience promptly and efficiently, without having to actually come to your office. You may choose among a larger number of potential employees, because their location will not be relevant any more, they will simply work remotely. While others use the cloud to store information, we use it for daily work. Working remotely offers many advantages and can bring a new zest to your life, such as being able to go skiing in the morning and submit your VAT return in the afternoon.